Back in April, I walked you through my current podcast gear, which I’ve been enjoying! That said, I always knew that this equipment was a temporary “between setups” setup that let me upgrade from a USB mic while familiarizing myself with interfaces and XLR mics without a huge investment. Hopefully in the Fall, I’ll be able to upgrade to the gear that I really want to have. Here’s a breakdown of that. 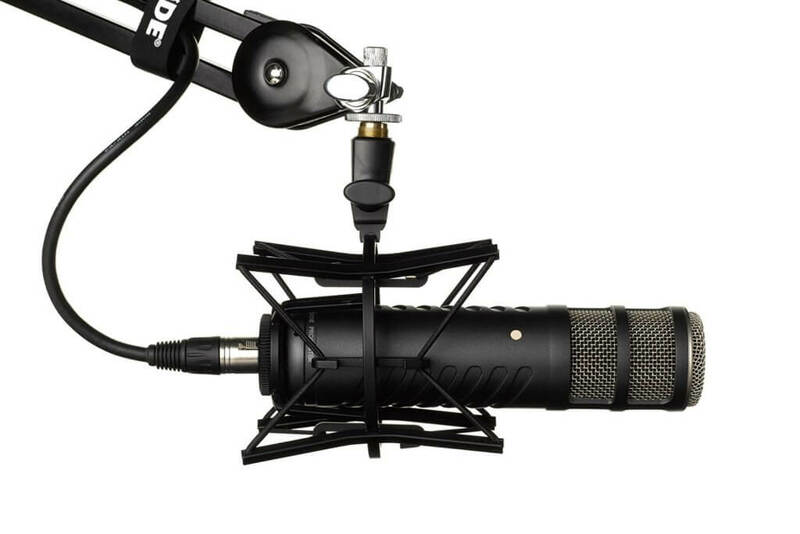 The Rode Podcaster is a very popular USB mic, and this is the XLR sibling. My friend Shawn (who heavily influences my setup) recently moved from the Shure SM7B to this and loves it. This makes me very happy, as it’s decidedly cheaper ?. Reason for Upgrade: I like my condenser mic, and may keep using it for certain uses, but I need to be positioned very carefully to make sure I get the right sound quality. If I’m not right in-front of the mic, I sound far away. This is great when there’s a crying baby, but not great when I fidget during podcast interviews. This is the piece I’m most excited for, because among other things, it will add a hardware noise gate, filtering out room sounds from the audio before it hits the computer. This will make post-production much, much easier. Reason for Upgrade: I don’t have a preamp now, but I don’t have a studio either. My office shares a wall with the nursery, so I want to eliminate as many environment sounds as I can. I’ve heard great things about this preamp, and at $199, I’m not breaking the bank. I’m not quite sure if I’m going to upgrade my interface yet. I’ve been happy with the Scarlett Solo so I may stick with the or upgrade to the 2 mic input. The Duet has been recommended by a couple of people because it provides more power, though I’m not sure I need it, nor am I ready for something at that price point. With my continued focus on recording for both my courses and my podcast, great hardware is really important to me. I’ll also upgrade some smaller things in my office (like a shock mount, noise absorbers, etc) to get the most mileage. This combined effort should make post-production much, much easier! At a total of around $650.00 (depending on the interface choice I make), I think that’s well worth it!